Kitchens are one of the most popular rooms for a remodel because a lot of time is spent there cooking and entertaining. As a result, clients want their kitchen remodel to look good, increase productivity, and entertain well. At ProSource® of Mandeville, we’ll help your clients make good kitchen design decisions they’ll enjoy year after year. 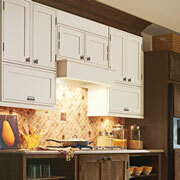 Remodeling kitchen cabinets can be overwhelming, but is a rewarding and, ultimately, fun task. 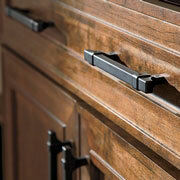 We have kitchen cabinets organized by color family, wood type, door shape, construction, brand, and more. When you work with ProSource, our vast selection means you can find what’s perfect for your client’s kitchen. Whether your client wants a modern flat black appliance to pull or a traditional nickel round knob, we have all this and more in our selection of cabinet hardware. Their new kitchen cabinets need some fresh, new hardware to seal the deal. 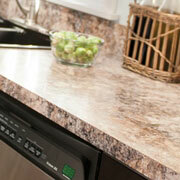 We have quartz, granite, blended raw materials, and recycled material all available for kitchen countertops. Varied colors and tones of each means your client can choose a countertop that is uniquely theirs. Kitchen sinks should embrace function and not just beauty. 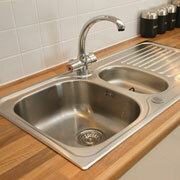 With ProSource, you’ll have full access to a whole host of options for kitchen sinks. Whether you’re looking for an apron-front sink, a sink with multiple basins, or a sink made from sound-resistant material, we can help. Kitchen faucets have one of the most important jobs in the kitchen, so we simplify it by selling faucets specialized for a whole range of tasks. 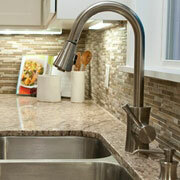 Our beverage, pot-filler, and pull-down faucets, among others, are all popular for streamlining tasks in the kitchen. We proudly serve throughout Covington, Hammond, Slidell, Mandeville, and Abita Springs, Louisiana. The ProSource of Mandeville showroom is conveniently located in Covington, Louisiana and serves all of the neighboring cities including Abita Springs, Bay Saint Louis, Bogalusa, Bush, Carriere, Covington, Diamondhead, Folsom, Franklinton, Hammond, Husser, Kiln, Lacombe, Lakeshore, Loranger, Madisonville, Mandeville, Mc Neill, Nicholson, Pearl River, Pearlington, Picayune, Ponchatoula, Robert, Saint Benedict, Slidell, Stennis Space Center, Sun, Talisheek and Waveland.